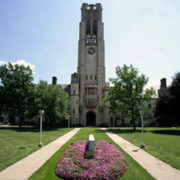 ECE has endowed a permanent engineering scholarship at the University of Toledo to promote and assist young people in pursuing careers in engineering. We enjoy engineering, and we believe that the brightest engineering students should have an opportunity for a high-quality education regardless of their financial background.… Read more. https://www.eceinc.com/wp-content/uploads/rc_ut.jpg 272 368 admin https://www.eceinc.com/wp-content/uploads/ece-logo-revised.png admin2018-04-27 11:01:102018-04-27 11:01:10Scholarship Created at University! ECE is Presented the National Tibbets Award in Washington D.C.! 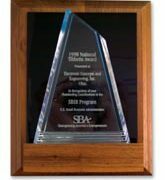 Electronic Concepts and Engineering, Inc. was one of only sixty-two small businesses selected nationwide for the “United States Office of Technology/SBA/SBIR Tibbets Award!” The Tibbets award selection is extremely competitive. The firms selected for this award must exemplify the business, economic, and technological achievements of high technology firms nationwide.… Read more. https://www.eceinc.com/wp-content/uploads/tibbets.jpg 200 165 admin https://www.eceinc.com/wp-content/uploads/ece-logo-revised.png admin2018-04-27 10:54:132018-04-27 10:54:13ECE is Presented the National Tibbets Award in Washington D.C.! ECE PCB Designers are Nationally Certified! ECE’s printed circuit board designers have been tested and certified to national standards for Printed Circuit Board layout and design! They are now referred to as”Certified Interconnect Designers” (CID)! Congratulations!!! The national testing and certification process ensures that the Certified Interconnect Designer meets the criteria for experience, training, and knowledge of PCB design, standards, fabrication, and assembly.… Read more. https://www.eceinc.com/wp-content/uploads/rc_pcb_layout.jpg 273 368 admin https://www.eceinc.com/wp-content/uploads/ece-logo-revised.png admin2018-04-27 10:47:282018-04-27 11:06:40ECE PCB Designers are Nationally Certified! Business Venture Magazine has selected ECE as one of the top 500 Most Exciting Small Businesses. From an initial candidate list of over 15,000 businesses ECE has “made the cut.” The “Business Venture 500” not only ranks businesses based upon a comprehensive formula that evaluates sales and growth potential, but also the ability to generate positive customer excitement in highly competitive markets.… Read more. https://www.eceinc.com/wp-content/uploads/ece-logo-revised.png 0 0 admin https://www.eceinc.com/wp-content/uploads/ece-logo-revised.png admin2018-04-27 10:45:502018-04-27 10:55:42ECE is ranked as one of the "500 Most Exciting Small Businesses!"